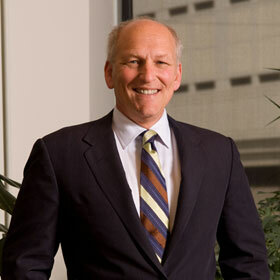 Stark grew up in a real estate family and did his first real estate deal – developing a small row of shops in Mayfield Heights, Ohio – while he was in law school in 1978. Over the last 35 years, Stark has created one of the largest, most respected real estate development companies in Northeast Ohio. Stark is the creative force and the primary driver behind all of the Company’s projects –from strip centers, to power centers to vertically integrated mixed-use developments. He was the visionary on two of the Company’s highest profile, nationally-recognized, award winning developments: Crocker Park and Eton Chagrin Boulevard. He keeps a close eye on changing consumer trends and the movement toward “lifestyle” centric opportunities. He is able to quickly adapt to ever-changing consumer taste by developing properties that fit their needs. Drawing upon his retail savvy and creative vision, he succeeded in bringing major national tenants, such as Tiffany & Co., Starbucks, Trader Joe’s, Sur La Table, Old Navy, Anthropologie, Urban Outfitters, H&M, Free People and Allen Edmonds to Northeast Ohio.